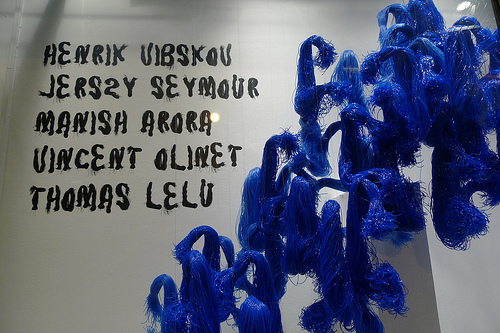 The identity and the display was made by Akatre, a graphics atelier from France. 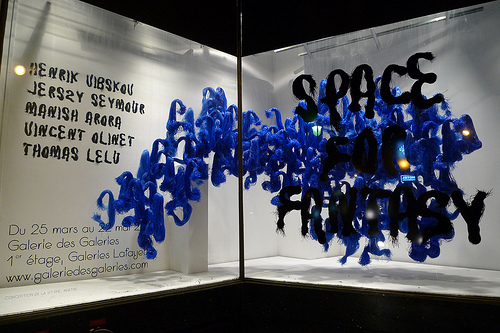 “From 25th March to 22nd May, the Galerie des Galeries is hosting the Space for Fantasy exhibition. This is an attempt to find a common language among five designers from different backgrounds – art, fashion and design – to try to grasp the soul of a new concept in design. 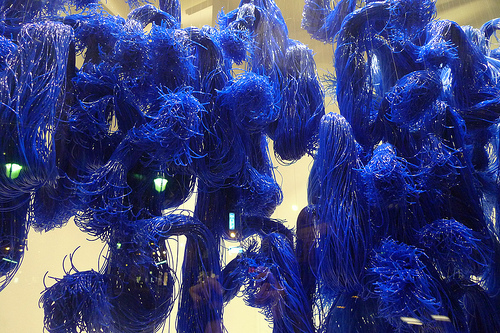 The inspiration for the exhibition came from an observation by Audrey Mascina, the curator, that a trend was emerging for “transforming reality”, “perverting it”.